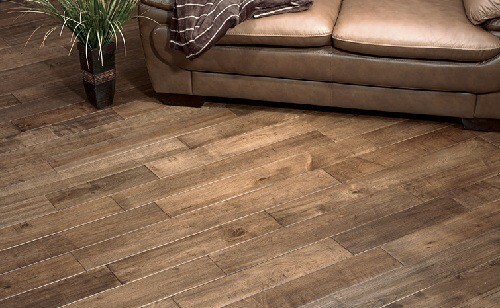 There’s certainly no shortage of flooring options for your home these days. Vinyl, marble, and laminate flooring are increasingly popular, and of course there’s always the carpet option if you are into that. Despite the numerous options for flooring, however, hardwood remains one of the best and most popular choices around. It’s no wonder – these floors have been used for centuries, with many still in existence in historic structures even after hundreds of years of use. With the right installation and upkeep, hardwood flooring can provide a lifetime of timeless and alluring appeal for your home. There are numerous reasons that so many have either turned to or remained with hardwood flooring for their home. Perhaps the most important reason of all, hardwood flooring provides a look that nothing else can. There’s something to be said for the aesthetic that natural wood provides for a home. Wood flooring is often rather neutral in its appearance, while still commanding plenty of attention. Wood flooring also offers a touch of elegance that’s not found in flooring such as carpet. The detail of the wood grain combined with a tasteful finish is truly hard to match in terms of an upscale look. For those that have carpeted floors in a multi-level home, hardwood stairs can provide some added texture to the home without committing to a full hardwood floor installation. Hardwood flooring can match nearly any décor. Whether you have a more traditional look to your home, or prefer a minimalist, modern look, hardwood flooring can provide the proper base you need to build off of. If you are needing a flooring that can withstand years of heavy traffic and use, hardwood flooring is a suitable choice. Finished hardwood has a protective layer on the surface that allows it to maintain its original appearance with normal wear and tear, whether you have a home full of kids and pets, or just your partner. Should your flooring eventually show signs of wear, a weekend spent sanding and refinishing will restore it back to its original look. Installing quality hardwood flooring in your home can help add to its resale value. It’s common for home restorers or new buyers to tweak some aspects of the home or remove them altogether. However, if your home has a stunning wood floor, the value is likely to rise due to the high probability of the floor remaining for the next owners. The floor is considered an investment, and part of the home’s features and structure. Carpet is highly detrimental to people that suffer from allergies. Surfaces with carpet tend to trap dust, dander, and even mold underneath, which can lead to consistently poor health over time. Wood floors do the exact opposite, as a good sweeping or vacuuming can effectively remove dust and dander. Cleaning a hardwood floor is an easy process that requires just a few common household items. Simply sweep or vacuum, and follow by mopping the floor to reveal a clean and healthy shine. With hardwood, there’s no worrying about stains from spilled drinks and food, pets, or whatever else could befall floorings like carpet. Hardwood Flooring can be classified by several different wood types, each with their own characteristics. 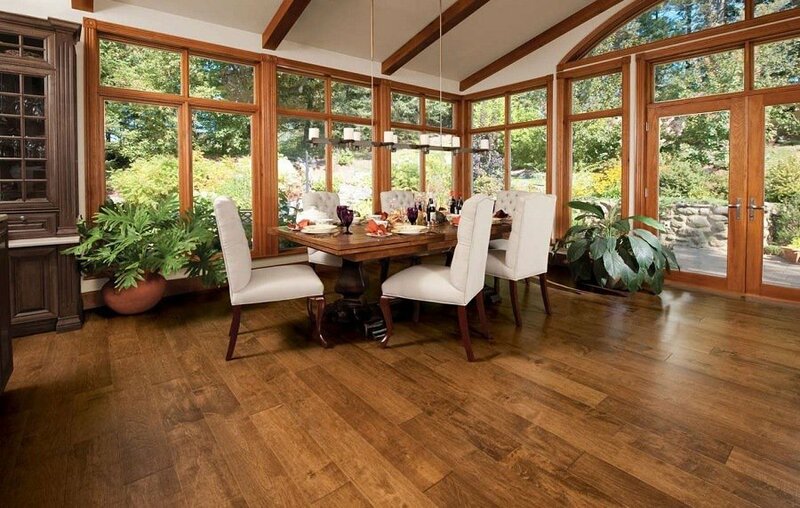 This type of flooring includes often-used wood such as oak hardwood, ash, walnut, maple, and cherry wood. Medium Brown – This color is extremely popular, as it provides a balance between light and dark hardwood floors. This is the most versatile by far, and gives homeowners plenty of leeway in decorating. Dark Brown – Dark brown adds depth and character to a home, regardless of the color of the interior. Natural/Beige — Hardwood floors with a natural or beige appearance allow the details of the wood to shine through and are commonly used in homes that feature minimalist décor with lighter colored walls. 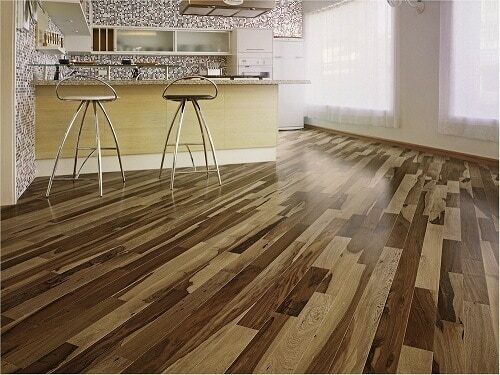 This flooring has grown in popularity as more wood choices have been made available. Acacia, Brazilian Cherry, and Tigerwood are just a few of the popular options available. Exotic hardwood is known for its depth of detail, as well as vibrant natural coloring with a subtle uniqueness. The bottom layer is made of solid hardwood, while the top of the panel is made of real hardwood veneer that has been bonded together using heat and compression. The result is a wood floor that has the look of real hardwood, without the need for using an entire uniform piece of actual hardwood. There is also more cohesiveness to the look of engineered wood flooring, and the flooring’s hybrid construction makes it usable for rooms such as basements, where factors such as moisture and temperature would cause normal hardwood flooring to expand and be damaged over time. Engineered wood flooring can also be both cheaper and easier to install than conventional hardwood. 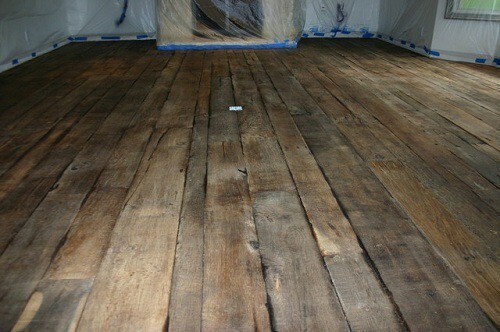 This type of wood refers to “reclaimed” wood that is gathered, refined and refinished, and sold. This can include would from old structures such as barns, or trees that have died or fallen down from inclement weather and other factors. Urban hardwood provides a way to use wood that would’ve been otherwise wasted and discarded or burned. This results in a variety of textures and colors that can’t be found with conventional wood types. This option of flooring is available regardless of type or color chosen. While many choose to have their flooring finished after installation, pre-finished flooring offers the option of having your flooring finished prior to receiving it, saving you one full step during the installation process. Hardwood flooring cost is obviously going to vary depending on location and materials used. but according to Home Advisor, the average homeowner currently spends $4,398 for a full install of hardwood flooring in average house. There is no right or wrong answer when deciding on your hardwood flooring. Wood type and color can be matched to your preferences and home décor options. However, it’s important to know your floor’s limitations and uses. Hardwood flooring should not be used in areas like kitchens, basements, and bathrooms, and harder floor varieties such as Brazilian Walnut are recommended for busy homes and high-traffic areas. I like how you say that hardwood floors are durable. It would seem that they really last a long time especially if you take the time to get them refinished when they get damaged. 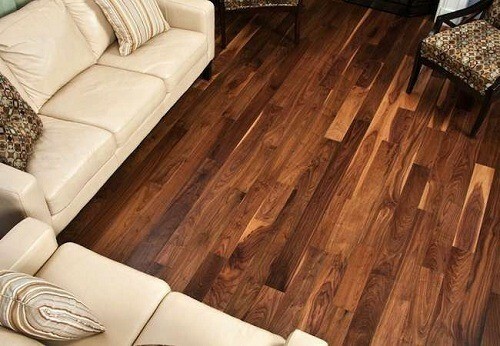 My sister is considering new flooring, so she’ll have to consider hardwood.